The ganoderma lucidum spore oil and ganoderma lucidum spore powder offer numerous health benefits, such as improving the immunity, blood circulation, nourishing skin and replenishing the body with vitamins, proteins and other nutrients. Xi'an, China, September 8, 2018 -- MIGU Adaptogen Bio-tech Co., Ltd specializes in offering natural botanical and fungus extracts that have immense health benefits for the mankind. 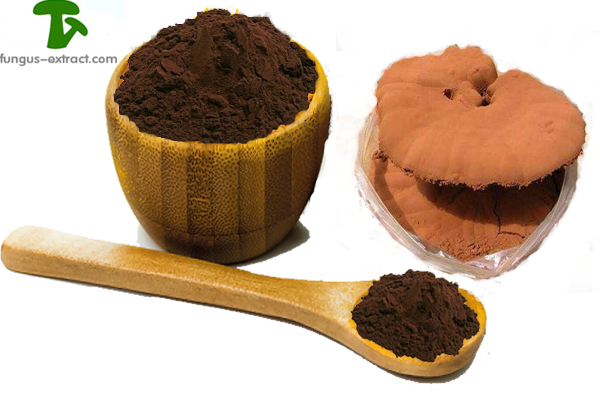 Recently, they have introduced the spore powder extracted from the ganoderma lucidum mushroom. This natural herbal extract is enormously beneficial for humans. From providing our bodies with vitamins and proteins to acting as an anticancer agent, the ganoderma lucidum extract helps prolong the human life. The spokesperson of the company states that they can supply the ganoderma lucidum spore oil, which is 100% organic reishi spore oil and which is being manufactured using the super-critical extraction technology. This organic oil is intact with over 400 active bimolecular components and has powerful health benefits for humans. According to the researchers, the spore oil is the most valuable portion of the ganoderma lucidum mushroom. According to the spokesperson, they make sure that during the ganoderma lucidum mushroom oil production process, no oxidation and spoilage take place, and the oil is produced by maintaining its most potent form. This natural mushroom oil can supplement the human body with proteins, vitamins, polypeptides and other nutrients to help improve the blood circulation and offer relief from problems like insomnia. Customers can also purchase ganoderma lucidum spore powder from MIGU. This 100% shell-broken powder has significant medicinal effects on the human body. It is known for amazing therapeutic applications, as it contains a sufficient amount of alkaloids, amino acids, and vitamins. With different kinds of minerals, the powder of ganoderma lucidum contains, it can be used in treating several kinds of ailments and preventing cancer. It can also help regulate hormonal imbalances in women and can improve the overall body function. MIGU has also brought the ganoderma lucidum spore oil softgel, available in the form of 300mg and 500mg capsules. These capsules contain nutritional and active pharmaceutical components, which can serve as the dietary supplement for five key human organs of heart, kidney, liver, lungs and pancreas. With a great absorption capability, the softgel capsules can help alleviate the problems of the human organ systems in a rather speedy manner. It can also be useful in alleviating illnesses related to surgical, gynecological, podiatric, ENT and other issues. The spokesperson states that these capsules can also prove helpful in improving the internal body’s immune system and help with the detoxification of the body. To know more about the health benefits of the ganoderma lucidum mushroom extract, one can visit the website http://www.fungus-extract.com. About MIGU Adaptogen Bio-tech Co., Ltd.
MIGU Adaptogen Bio-tech Co., Ltd is professional fungus extract powder factory certified by cGMP, ISO, HACCP, Kosher, Halal, Organic since 2002. The company is dedicated to the identification, development and production of fungus extract and other botanical extracts. They owned the organic plantation based in ShannXi and JiangSu province to support production of products of high purity and advanced quality. With the strong R&D capability, the company’s lab is equipped with state of the art instruments for testing such as HPLC, UV, UPLC, TT, GC and GC-MS, ICP-MS, GC/LC-MS-MS, HPTLC and IR ( identification), ELIASA, Microbiology test and etc. Company: MIGU Adaptogen Bio-tech Co., Ltd.